Great name for a colorful cat! 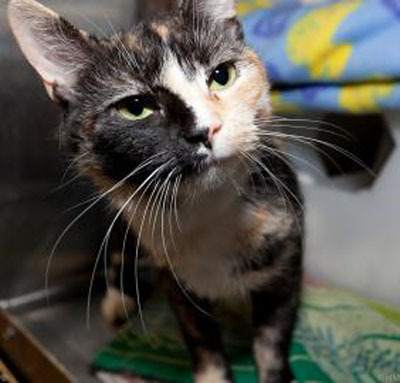 Colors is a 2 year old female domestic shorthair. She lives up to her name as a black and orange calico cutie. Colors is available at our Fairport location. Please come visit her and her friends to see if she isn't just the cat for you!